SEAN HANNITY (HOST): We need a top to bottom killer defense procedures against these hackers. That's why Hillary Clinton's email server is a real threat to our safety and security. And we do believe that that place was hacked by at least -- foreign -- six foreign entities. This was all weaponized in the press, inside the deep state to bludgeon Donald Trump. TUCKER CARLSON (HOST): You might be wondering, with so many people priced out of local housing, the people are literally living in RVs, miles of RVs parked along the streets and as you are watching here, in tents, why wouldn't local leaders want to slow or stop the flow of new arrivals to get prices under control, to opening up new housing? They're doing the opposite. LA is a sanctuary city in a sanctuary state, every politician there with any ambition will denounce our border as an atrocity and an immigration enforcement as an abomination. DAN PFEIFFER (CROOKED MEDIA): Let me say my bigger point here, which is the Fox -- a lot of very important grassroots work has been done, by Sleeping Giants, Media Matters, a lot of incredibly important reporting from people like Jane Mayer, and Gabriel Sherman to expose Fox News for what it is, which is not some conservative version of MSNBC. It is a corporate-funded racial-grievance machine for the sole purpose of electing Republicans. It exists to protect Trump, it exists to destroy Democrats, news is the coffee grinds in which they smuggle in the cocaine of propaganda. And a great amount of work has been done to make that case to advertisers, to make that case to the public, to make that case to other reporters to take what they say as a grain of salt. We have come a million miles since Obama was dealing with Fox when we were in the White House in terms of public understanding of the danger of Fox. And if all of a sudden 19 Democrats all go on Fox, it undermines that work. Right? It allows Fox's advertising department to go back to the advertisers who have pulled out because of things Sean Hannity has said, Tucker Carlson has said, Laura Ingraham has said and say look: Bernie Sanders comes on here, Amy Klobuchar comes on here, Pete Buttigieg comes on here, and see we are legitimate and to get those advertising dollars back. JON FAVREAU (HOST): You think that works? You really think that the advertisers would be like oh, I'm going to second-guess my decision to pull the ads because Bernie's on the channel? PFEIFFER: That's the view of Media Matters, which has been leading the effort to do this. I mean, basically during the Tucker Carlson, Fox has been showing basically dead air because they can't get enough advertisers to fill the inventory for that show. And see, money is fungible so that comes out of Fox's bottom line. So I do think we have to think about the fact that if you do things that help Fox sell more ads, what you are doing is making it easier for them to keep Tucker Carlson on air. You are supporting their white supremacist programming, which is incredibly dangerous to America, right? And I think that is my concern, is that in -- if the Democratic Party all of a sudden embraces Fox again, and I think we're doing it for sort of dumb political reasons outside of the context of your own campaign strategy. We are doing a lot of work to rehabilitate Fox in the minds of corporate America and the public writ large. And I think that is potentially damaging the long-term progressives' cause of undoing Trumpism in America which requires limiting the influence of the danger of propaganda networks, most notably Fox. CALLER: My take on why Mueller never closed the loop is I believe it would have started a revolution in this country. RUSH LIMBAUGH (HOST): What kind of revolution? Like tell me what you think would have happened? CALLER: I believe that there would have been a lot of people up in arms. LIMBAUGH: Yeah, but what were they going to do about it? What would Trump people do about it, aside from the fact the Trump people are the ones that have the guns -- in America? What would they do about it? The left doesn't have any guns, not that they want us to know about anyway. Don't they throw their guns away? On Sunday morning, terrorists carried out a coordinated attack on churches, hotels, and other populated sites across Sri Lanka, killing nearly 300 people. Sri Lankan officials believe the attack was carried out by a radical Islamist group called the National Thowheeth Jama’ath, and police arrested 24 people in connection. Messages of sympathy rolled in as people around the world mourned this tragic event. But tweets from former President Barack Obama and former Secretary of State Hillary Clinton sent right-wing journalists and commentators into a rage spiral. Conservatives took issue with Obama and Clinton saying “Easter worshippers” instead of “Christians.” Naturally, outrage ensued. There’s nothing wrong with saying “Easter worshippers” to refer to people attending an Easter worship service, and neither Obama nor Clinton coined the term. Adding to the “silly controversy” is the fact that only a few people who were outraged over the tweets from Obama and Clinton seemed particularly upset that President Donald Trump’s tweet in reaction to the bombings referred to the victims simply as “people” and mistakenly claimed that there were 138 million deaths. In fact, even the official statement from White House press secretary Sarah Sanders also failed to mention Christians. The United States condemns in the strongest terms the outrageous terrorist attacks in Sri Lanka that have claimed so many precious lives on this Easter Sunday. Our heartfelt condolences go out to the families of the more than 200 killed and hundreds of others wounded. We stand with the Sri Lankan government and people as they bring to justice the perpetrators of these despicable and senseless acts. Some conservatives also pointed out that both Obama and Clinton referred to Muslims specifically when tweeting about the New Zealand mosque attacks, and several people on Twitter wondered why terms like “Ramadan worshippers” weren’t used then, but the answer is simple: The New Zealand attacks didn’t happen during a Ramadan service. Contrary to the below tweet, the phrase “Ramadan worshippers” is sometimes used, especially regarding terrorist attacks on Muslims. The outrage isn’t really about the attacks at all, though. 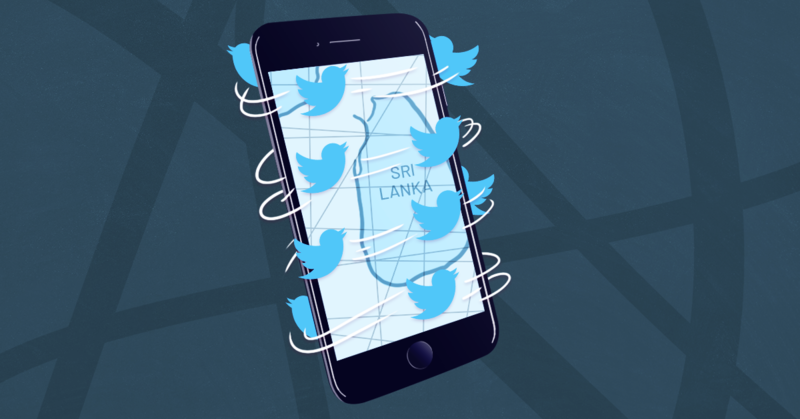 Three of the bombings happened at churches holding Easter services, and four others occurred at hotels throughout the city of Colombo. Additionally, one suicide bomber detonated during police questioning, and a pipe bomb was found and defused near the Bandaranaike International Airport in Negombo. While the attacks certainly targeted Christians, they were almost certainly not the only victims in this act of terrorism, as the country’s population is overwhelmingly Buddhist. Over the years, conservative media have gotten extremely good at coordination, and the emergence of a social media-dominated news apparatus has allowed that skill to shine through. It’s commonplace to see something posted on social media get amplified in the conservative echo chamber and become big news in a matter of days if not hours. This is what happened when conservative media coalesced around the idea that Rep. Ilhan Omar (D-MN) was downplaying the tragedy of the 9/11 attacks, when they clutched pearls over Sen. Cory Booker (D-NJ) discussing the long-term sustainability of U.S. meat consumption, or countless other examples. The credulity with which mainstream news organizations take these claims of outrage only embolden the people making them, checking an important box in the conservative media ecosystem: their status as a persecuted minority unfairly picked on by politicians and a “liberal” media. Right-wing commentators have recently learned that by claiming that the Mueller report exonerates Trump (it does not), they can shape a reality in which people will perceive it actually does. Similarly, they know that if they repeat the claim that Obama and Clinton were showing their anti-Christian bonafides by saying “Easter worshippers,” they can build a conventional wisdom in which that is true. The answer, clearly, is to stop taking such people seriously by calling out their phony outrage where it exists and not letting them shape reality through repetitive propaganda.